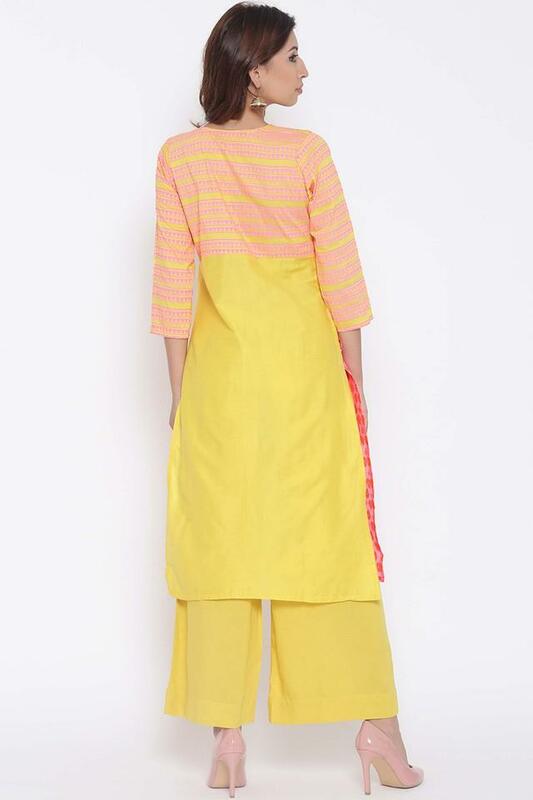 Enhance your style quotient by wearing this kurta brought to you by Jashn. 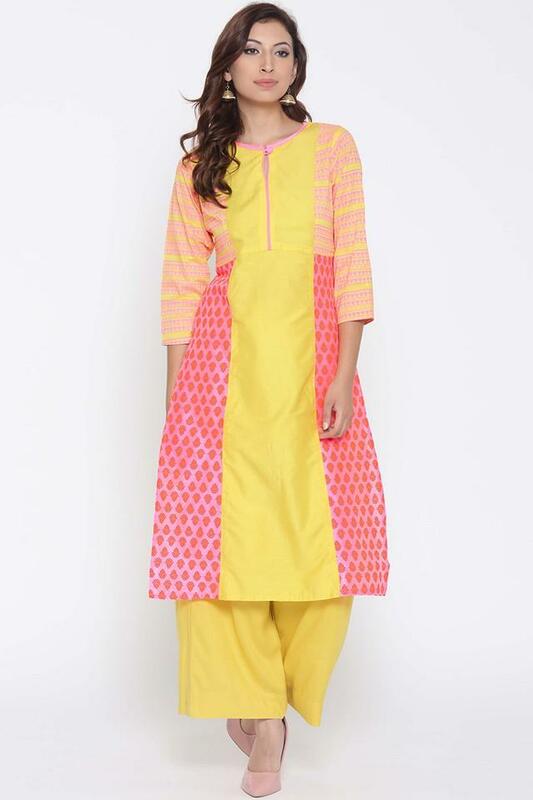 Featuring a print pattern, it also has a fine colour combination that renders it fashionable. In addition, it is crafted from a supreme quality fabric that will provide you with optimum comfort for long hours. Step out in style by wearing this kurta, which is both trendy and comfortable. You can club it with a pair of leggings and flat sandals to complete your casual look.